Take a look at the brand new website of Gesher L’Europa, a project of the National Library of Israel and the Rothschild Foundation Hanadiv Europe, featuring educational resource packs, blogs touching on European Jewish history, the Jewish European Ephemera Collection and much more. A free living library of Jewish texts in Hebrew and English. Contains a great range of texts, from the Tanakh to Talmud to Zohar to modern texts and much more. Search for a verse of Tanach and the search engine shows you all the related commentaries right on the side of the page. Sefaria also offers a platform to build your own interactive, bilingual source sheets that can be saved and shared with the online community of educators. The Sefaria Educator Course is a fully subsidized professional learning program designed to support educators using Sefaria in Jewish studies classrooms across the country. This course will empower you to reimagine pedagogy in light of digital technology. Using the content in our asynchronous online training center and your own teaching experience, you can build your skills on Sefaria and directly apply your knowledge and training to your work with students. To apply click here. A portal for Jewish texts on the topic of social justice. Search for texts, classes and short divrei Torah, on topics ranging from civil rights, poverty, environment and much more. A comprehensive resource for educators on all things related to Jewish Peoplehood, the theory and the practice. Check out the Peoplehood Toolkit to learn more about the meaning of Jewish Peoplehood and for ready-to-use materials and activities on a wide variety of Peoplehood-related topics. In the Virtual Library you will find lots of articles and references that give depth to the topic. An incredible resource of millions of cultural and traditional treasures available to educators and learners throughout the Jewish world. You can access an online catalogue of primary sources adapted for educators and learners, a collection of teaching resources and online activities and much more. A facebook group for Jewish educators. The group is large and very active, and functions as an excellent network for educators in all settings. Follow it to get a sense of what Jewish educators are working on, and use it as a resource to hear opinions, suggestions or concrete ideas about your programs. A studio making Jewish videos, apps and animated series that are joyful, empowering introductions to Jewish ideas and life, for children and adults. There is a series of animated shorts on the weekly parasha (Torah portion), lifecycle events and core Jewish ideas and texts. Bimbam also has a series designed for young children, focusing on values. 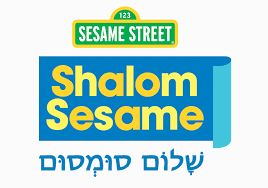 From the makers of Sesame Street, Shalom Sesame is the home of English-speaking Israeli puppet characters, and their friends, who sing and learn about topics of Jewish and Israeli interest. Great for small children. A fairly simple website for children containing introductory information about Judaism, including holidays, Biblical heroes, customs and more. Also features worksheets and tools for learning Hebrew. From an orthodox perspective. Jewish Interactive develops educational technology products and multiplatform apps for students, as well as educator and family resources for the early years & K-12 Jewish education. The organisation produces content rich, curriculum connected apps, harnesses the power of gaming, develop training and personal development programs, facilitates competitions, runs app development workshops, collects and analyses data from their products, and hosts seminars, round-tables and conferences. 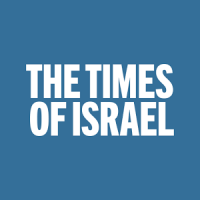 An excellent free online newspaper covering Israel and the Jewish world. Up to date news, that includes culture and a large number of blogs. A portal to news about Israel that concentrates on “behind-the-news” stories about culture, technology and science. Good for finding interesting information that broadens the perspective about Israel away from conflict. Makom offers resources for educators who want to present Israel to their students in a sophisticated and thoughtful way. The site includes downloadable curricula, book and movie guides and their model for thinking about Israel education, “The 4 Hatikvah Questions”. Makom is a department of the Jewish Agency for Israel. Based in the US, the iCenter offers resources for Israel educators. Beyond their professional development programs, the website includes a blog and collections of useful resources about topics related to Israel – connecting Israel to holidays, programs about historical events and key personalities, and a concentration on Israeli arts and culture. The site also presents the Aleph Bet of Israel Education – the iCenter’s approach to what makes excellent Israel Education. 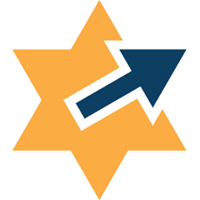 The leading transdenominational website of Jewish information and education, offering articles and resources on all aspects of Judaism and Jewish life. The site contains articles, videos, recipes, weekly Torah commentaries, an Ask-the-Expert column, a monthly Quiz challenge and blogs. Excellent as a first stop for Jewish information and the basics of Jewish life. Brought to you from the Pardes Institute of Jewish Studies in Jerusalem (www.pardes.org), Elmad is a rich resource for accessible online learning. Most of the materials are podcasts, with some downloadable printed resources for the holidays. Topics include parshat hashavua (the weekly Torah portion), interviews with Pardes faculty and Jewish concepts of contemporary relevance. Designed to support interfaith families learn about and engage with Jewish life, this site contains a lot of accessible information about Jewish holidays, lifecycle events and Jewish life. Very useful for good basic information written in an accessible and friendly way. This site offers a wide library of animated videos that present traditional Jewish texts in an accessible way. Designed particularly for use in schools, Aleph Beta offers a thoughtful and intelligent approach from an orthodox point of view. Some of the materials are free and some require additional payment. There are videos on holidays and parshat hashavua (the weekly Torah portion) with accompanying source sheets and forums for discussion. A daily online magazine highlighting the latest trends and news in the world of Jewish community and philanthropy. eJP publishes pieces on issues facing the organized Jewish community, highlights new programs and trends in Jewish education and best practices related to managing and promoting a non-profit organization. The focus is on the US, but there are regular pieces focused on Israel and other Jewish communities. An online magazine for Jewish educators, covering trends, news and thought pieces relevant to the field of Jewish education. Largely focused on the US but relevant to all. 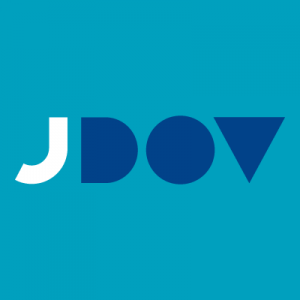 JDov invites inspiring Jewish speakers to share their dream, observation or vision for Jewish life, and creates short videos out of the presentations. There are a wide variety of speakers and lots of stimulating videos on a range of topics. 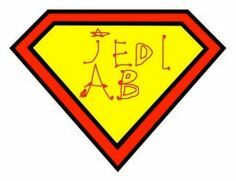 JDov is a project of the UK-based JHub. Eli Talks bring inspired Jewish ideas to life through short videos that capture the stories and ideas of a wide range of Jewish teachers, leaders and artists. The idea is to show the range of Jewish ideas, all connected to a single source of inspiration. Eli Talks is produced by the Avi Chai Foundation. The Schusterman Foundation has produced two “playbooks” – excellent guides designed to help non-profits be more effective. The Alumni Playbook is an online compendium of best practices, strategies and case studies designed to connect with and activate alumni networks and provide them with ongoing opportunities for meaningful engagement. The Data Playbook is for organizations and programs that want to use and collect data most effectively in order to assess and evaluate programs. An online publication aimed at providing a platform for a pan-European exchange on Jewish life, thought and culture that extends beyond national and linguistic barriers. 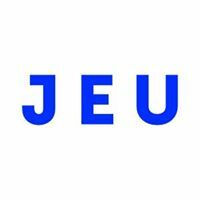 Jeumag publishes pieces about Jewish European life and trends, and includes listings of events and exhibitions. It is a project of Paideia Connect – the alumni association of Paideia, The European Institute for Jewish Studies in Sweden. A Polish Jewish magazine that publishes articles on culture, history, religion, world news, society etc. The website publishes the most important articles from a given number printed version of “Chiduszu” thus providing its online version. An online magazine of Jewish culture, politics and arts. An open-source academic-style journal published by the Fondazione Centro di Documentazione Ebraica Contemporanea (CDEC), an institute devoted to historical research that was established in Milan in 1955. The journal focuses on European Jewish history, anti-semitism and issues of scholarly interest. Also includes reviews of publications. 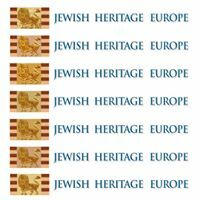 Jewish Heritage Europe is an expanding web portal to news, information and resources concerning Jewish monuments and heritage sites all over Europe. 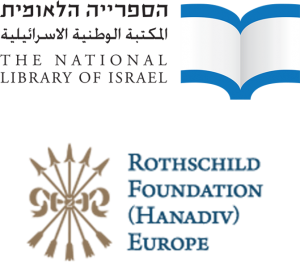 A project of the Rothschild Foundation (Hanadiv) Europe, JHE fosters communication and information exchange regarding restoration, funding, best-practices, advisory services, and more. The European Jewish Research Archive is a free-to-access online repository of social research on European Jewry since 1990. It aims to provide Jewish leaders, academics, policy makers and community members with the research they need to understand contemporary European Jewish life. Yesod spoke with Student Rabbi David Maxa from the Abraham Geiger College in Germany, about the ‘Lech Lecha’ journey and how it applies to Jewish community work. In his short (15 minute) podcast David focuses on the idea of insecurity and how we can learn to deal with it using the wisdom derived from ‘Lech Lecha’. 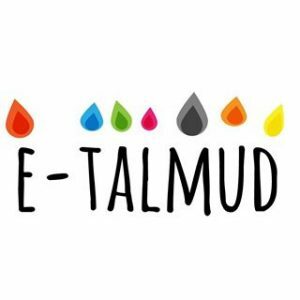 E-Talmud est un centre de ressources qu’accompagne vos cours de Talmud Torah. C’est gratuit et ouvert à tous. Vous trouvez des ressources sur des repères chronologiques, des repères géographiques, des grands livres, symboles et objets de culte, le calendrier hébraïque, les étapes de vie, des textes importants et un lexique. Il y a des ressources si vous souhaitez enrichir vos cours ou vous cherchez de l’aide pour construire un nouveau cours. E-Talmud is an online resource site for French speakers. It’s free and open for all and offers resources especially for Talmud Torah courses. It features resources on important Jewish historical figures, geographical sites, books, symbols, the Jewish calendar, life cycle events, important texts as well as a dictionary. You’ll find resources if you want to enrich your classes or are looking for help when putting together new ones.